A “no urgent problem or opportunity” problem. If there’s no important problem to be fixed, and no opportunity to be captured, there’s no sale. Especially if you’re selling business services that are discretionary or periodic in nature (consulting, investment banking, tax advice, etc. ), there must be an issue that is begging for a solution—an issue the client has a sense of urgency around. A lot of time is wasted building trust and rapport, and discussing the general state of their business, with clients who don’t have a sense of urgency around a specific challenge that your firm can address. Have you really uncovered your client’s “red issue”? That’s the one they will pay to fix. A “no decision maker” problem. It’s hard to complete a sale if you’re not talking to the decision maker. You may think you have a great relationship with the feasibility buyer or a lower-level executive, but that doesn’t mean anything if you haven’t met the real decision maker. Millions of hours of time have been wasted talking to people who are not authorized to make a decision. The result? The sales process never ends. A “no credibility” problem. If the client doesn’t have a strong belief in your ability to deliver, you won’t get the sale. You may be stretching to bid on an engagement where you don’t have a lot of experience; or, you may not have adequately communicated your credentials. Sometimes, it takes an actual visit from your prospect to another client that is a fan of your work in a particular area. A “no trust” problem. This is similar to number three (no credibility) but goes further. Trust is based not just on your perceived competency, but also on a client’s sense of your integrity and your commitment to them. The sale won’t close if there’s insufficient trust, including doubts about your honesty, consistency, reliability, intent, and so on. This doesn’t mean the client thinks you’re a thief—just that they don’t fully trust you and your company as the highest-value alternative to other competitors or internal efforts. A “no good metrics” problem. All clients want to be assured they are getting value for their money. Sometimes this is the weak chink in your armor: You’ve proposed an elegant solution, but you haven’t quantified the impact or the return-on-investment. You may not be getting the sale because, in short, because your metrics are too weak or non-existent. A “no dissatisfaction with the rate of change” problem. To buy, clients have to feel a healthy dissatisfaction with the rate of change. In other words, there is an urgent problem or opportunity (1, above), and they are frustrated with the slowness of progress—frustrated with internal efforts that have not succeeded, or with other competitors who have not done a good enough job. A “no tangible next steps” problem. It may be that there’s no sale because the client still doesn’t understand how your solution will work and what the tangible next steps are to engage. In your own mind you are clear, but the client doesn’t see it yet. Maybe your proposal is too vague, or perhaps the client is nervous and wants to see more details before agreeing to proceed. A “wrong client” problem. Sometimes, there’s just a poor fit between you and the client you’re talking to. It may be that they are looking for an expert-for-hire to do a transaction, but you want to build a long-term relationship. Perhaps it’s a large corporation and they want to deal with a global provider, not a niche boutique—or vice-versa. It could be they are used to paying one-third of the fees you charge and use the cheapest providers available, but you offer premium services at prices that are at the high end of the market. A “friendship” problem. You spend a lot of time hanging out with the client, going to lunch, and chatting about everything that’s wrong with the world. But you never sell them anything—you never “close”. This may be because you’re confusing a friendship for a professional, commercial relationship. In this case, the client views you as a nice friend—not a viable supplier of important products or services. You need to find a real prospect, not just someone to be friends with. 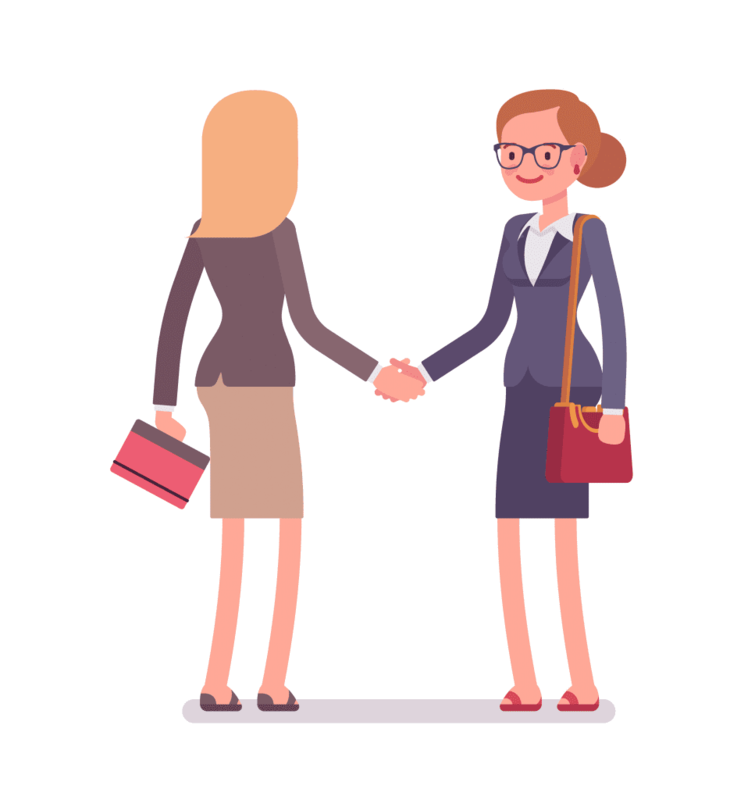 Of course, it’s important to get to know your clients as people, and to connect on a personal level—but that’s in the context of a potential professional exchange and mutual professional interests, not pure friendship. I recently did some redesign work on my website, www.andrewsobel.com. There are a lot of free resources available at the bottom of my home page, and some entirely new sections. These include: Highlights of my keynote speaking with 9 new videos (Speaking Page); a new section on my Mobile Learning Program, Building Clients for Life (eLearning Page); and another new section highlighting four distinctive solutions I offer (Training Programs Page).